No one is more surprised than philosophy and sociology major Brittany Kaminski ’11 to arrive every morning at a job in financial services — but it’s a surprise that has her energized about the future. The opportunity to explore outside his primary discipline helped psychology major Alexandre Swayne ’11 discover a passion for finance. He is now an analyst at State Street Global Advisors. Well-rounded and adaptable thinkers command a premium in every segment of our society, and the intellectual flexibility and reasoning skills at the heart of a Stonehill education allow our graduates to succeed even when their passions take them in unexpected directions. Originally Brittany was an elementary education major, and the first shift of her interests began when Assistant Professor of Criminology Ann Marie Rocheleau introduced her to the world of criminology and sociology. Brittany ultimately declared a double major in sociology and philosophy, building analytical skills and a rich understanding of human behavior through coursework and research opportunities such as a Stonehill Undergraduate Research Experience (SURE) project that had her analyzing data on prisons with Rocheleau. It was the perfect mix of skills for the demands of her first postgraduation job, a consumer-business mediation role with the Massachusetts Office of the Attorney General. The opportunity to use that same set of skills, Brittany says, attracted her to her current role with Wellington Management. The Connecticut native recently completed a financial certification course to further immerse herself in the field and she says she can see herself in this line of work for quite some time. Brittany’s story is not uncommon among Stonehill alumni, according to Kristine Shatas, employer relations manager in the College’s Office of Career Services. The Career Services team encourages students to explore by conducting alumni interviews, joining multiple campus organizations, and pursuing internships and research opportunities that lead them to their true career calling. “We have always worked to help students realize their strengths and interests, rather than letting their majors define their career paths,” says Shatas. The approach has helped many apply their degrees in unique ways. 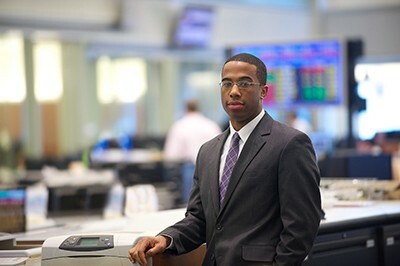 Psychology major Alexandre Swayne ’11 discovered a passion for finance that led him to his current job as an analyst at State Street Global Advisors. Matt Tardiff ’14, who double majored in psychology and math, pivoted into a career in professional sports with the Boston Celtics. And Evan Tallmadge ’10, a biochemistry major, is now at Harvard Law School preparing for a career in intellectual property law. Evan says that his SURE research — examining protein expression in collaboration with New England BioLabs — helped him develop project management skills that have paid off beyond the scientific realm where he began. The flexibility of a Stonehill degree is no accident; the Cornerstone Curriculum of General Education is designed to develop a strong foundation of research, analysis and communication skills in graduates. These skills, in turn, align identically with the qualities employers seek in candidates. According to Stonehill’s 2015 Employer Survey, “critical thinking,” “problem solving” and “intellectual curiosity” are the greatest strengths Stonehill students bring to the workplace, regardless of major. For Mary Charlotte Buck ’14, a passion for service led to a major in religious studies. Through community service — including two H.O.P.E. Service Immersion trips — she focused her career plans on helping others. And although she didn’t expect it to lead her into the healthcare field, that’s exactly where the right job surfaced. Today, Mary Charlotte is a patient coordinator at Massachusetts General Hospital, crediting Stonehill’s supportive environment with helping her to uncover an opportunity that checks off all the qualities she sought in a career. Visiting is the best way to understand what Stonehill is all about.